Diamonds are known as the most prestigious gem. The most valuable and rare of all gemstones, diamonds are wanted by many and thus in high demand and low supply. Diamonds are one of the oldest materials found on earth. Most diamonds are about 3,5 billion years old. 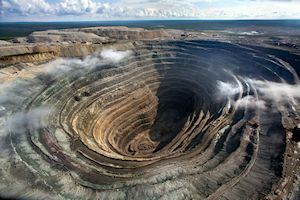 Carbon deep under the earth's surface can sometimes experience immense pressure, causing the formation of Kimberlite, which is a type of rock in which diamonds are found. This happens at a depth of around 150km/95miles. It is when Volcanoes burst that the Kimberlite may end up closer to the earth's surface and within mining reach. The duration in which the diamonds travel upwards due to volcanic activity is also a factor, as the heat may destroy the diamonds. A general rule is the faster is is pushed upwards, the better. Although today diamonds are mined in highly technological methods in significant amounts worldwide, they were quite a scarcity up until the 20th century. Some of these technological advancements include 3D imaging of the uncut diamond, stronger engines to fuel the machinery, and high quality cutting materials. Diamonds are immensely hard. In matter of fact, according to the Mohs Scale of Hardness, diamonds are the hardest mineral. It is in part because of their hard property that our society has managed to evolve from a technological viewpoint. Diamonds are absolutely essential for the creation of microchips, sawing of extremely hard materials, and mine and oil drilling, surgical equipment and more. Centuries ago people associated certain beliefs with wearing diamonds such as that it can help deter against demons, make the mentally ill sane, and provide fighter with great strength on the battlefield. It was however only truly popularized as a symbol of love in the 15th century when Maximilian the Emperor of Austria married Princess Mary of Burgundy and gave her a diamond engagement ring. Great value has been assigned to diamonds for their scarcity for thousands of years. Texts from Ancient Roman, Greek and Indian texts are testimonies of this. The trade in diamonds started in the 8th century and was mostly centered between India, the Middle East, and the Mediterranean Sea. Over time, the diamond trade reached Venice and was mostly centered there in terms of future distribution to the world market. This lasted until the 15th century when Portuguese sea-route trades were flourishing, and the center of the diamond trade shifted from Venice to Lisbon as a result. With time, at the end of the 20th century Antwerp started rising as an ever more important hub for diamonds, especially known for its expert cutters. London remained strong as did Amsterdam, but Antwerp took over as the world's most city for both trading and cutting diamonds. Currently about 84% of the world's cut diamond supply makes a stop at Antwerp at some point, making it the perfect location for diamond dealers from all over the world to network with each other, and it is also the reason Antwerp Or manages to sell diamonds for such extremely competitive prices. One of the most famous stones in recent history is called the "Mountain of Light". This stone has travelled through many hands. It was discovered in India in 1304. The "Mountain of Light" belonged to the Indian Royal family and was treasured for centuries. It was however plundered by Persian Tyrant "Nader Shah" who invaded India in 1739. The discovery of the existence of this diamond is attributed to the interrogation of Shah's harem. He was however eventually assassinated and the diamond passed through many hands. Most historical owners of this diamond experienced tragic and violent causes of death until it finally ended up in the hands of the British, which was claimed for their Queen at the time (Queen Victoria) as the British expanded their empire in India. The Mountain of Light was then put on display, but the public were generally unimpressed and Queen Victoria decided to have the diamond re-cut, which brought out its true beauty and made it famous for not only its size, but also for its beauty, though not one person of the British Royal Family has ever worn it, believing they would experience bad luck if doing so. The Koh-I-Noor or "Mountain of Light"
There are many steps between a diamond mind and a jeweler. This is often referred to as the "Diamond Pipeline". The diamond mining process is only a small part of the process. 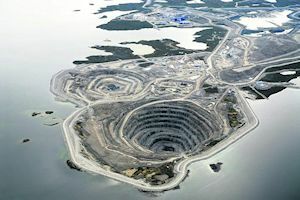 Countries in which substantial amounts of diamond mines are active are Angola, Australia, Botswana, Canada, Namibia, Russia, South Africa and others. Rough diamonds are generally not found by coincidence. And unless it is in the hands of an expert it is often indistinguishable from a common stone found on the sidewalk. Most of the diamond discoveries are the result of calculated soil sampling techniques. A crucial process in finding diamonds is finding Kimberlite deposits as diamonds are only found in these deposits. That one may find Kimberlite deposits however, does not mean that he will certainly find diamonds. It is merely the main requirement. Sometimes only small amounts are found even after many years, rendering the costs of operation higher than the profits, even with very promising soil sampling results. Out of those 5000 deposit areas, only about 50 of them are viable profitable sources of diamonds. 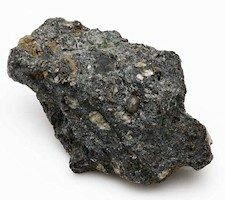 A small fraction.The location of Kimberlite is not always on solid land. Some places containing substantial deposits are found by the coastline or even the middle of the ocean. Another factor, even a requirement in determining proper locations for diamond mining is places with previous volcanic activity. Another factor is lush vegetation, as the soil in which Kimberlite is found is very rich in nutrients for plants. The only way of knowing with certainty if the area could result in a viable diamond mining operation is to mine. 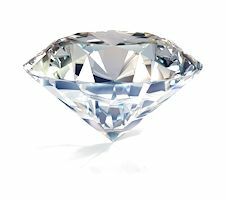 It can take a long time for diamonds to be found, but if one is found then others are extremely likely to be close as well. Other factors in helping to map the likelihood of finding diamonds in a specific area is the presence of Almandine or red Pyrope. Experts use traces of these minerals along with previously explained factors as a "map" for potential mining areas. Even after finding the proper potential areas the companies wishing to mine can not easily begin to do so. There are many things to do before that would be possible such as acquiring the proper licenses, further soil sampling, analyzing work conditions, setting up irrigation, electric supply lines and roadways. Sometimes the deals with the governments include having to build shopping malls, restaurants, housing or film theaters for the employees of the new mine. Before the actual mining begins, but after the test sampling a test shaft is dug up to get a better idea of probability for diamonds to be found and at what depths. Giant tractors are often used to dig the gigantic holes required for such an operation. to find an average of 1 gram of diamonds (1 carat) an average of 20 tonnes of soil has to be moved. This is the main reason diamond prices are so high. 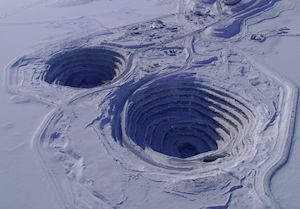 A diamond mine in summer. This modern method is not the method we used throughout history to acquire our first diamonds though. The first diamonds acquired were not through mining operations but the bottoms of river beds. Up until the 19th century almost all diamonds came from India. These are diamonds that have long settled in muddy areas that have been a consistent source of diamond findings. 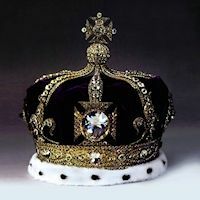 India has delivered some amazing diamonds throughout history, such as the 186 carat Koh-I-Noor, which today is part of the British Crown Jewels. Another great find from India is the Regent: a massive diamond weighing 410 carats, discovered in the 18th century. The same mine in winter. However, at the end of the 19th century within the span of 4 or 5 decades many new diamond mines were discovered around the world which could be mined in more profitable ways and in larger amounts, also greatly in part due to great evolutions in mining technology. As a result, the Indian mines closed one by one. Since this revolution diamonds have been affordable for a much larger percentage of the world's population. There are dozens of cut types, but there a bit more than a handful of types that are widely internationally popular. 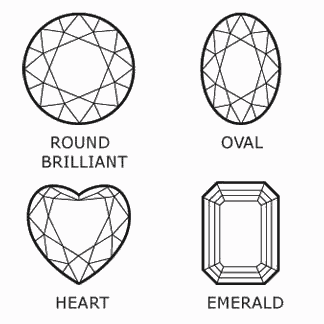 These types are: cushion, emerald, heart, marquise, oval, pear, princess and round. some other less common cut shapes include: Antique, Hexagon, Stepped Crown, Checkered Down, Double-Crown, Lozenge, Table, Epauqlet, Trapeze, Triangle, Calf's head, Shield, Keystone, Window, Kite, Old-mine, Zircon, Star, Lozenges, Rondelle, and Briotelle. Internationally recognised by jewelers and diamond dealers as the best diamond grading company. The reason GIA is much preferred by almost all the experts in terms of certificates is because they have the strictest standards. A certificate by the GIA is the most accurate. The GIA is an organisation that is non-profit and was founded in 1931. The IGI diamond certificate is highly praised for its accuracy and standards for diamond grading. Founded in 1975 and head-quartered in Antwerp, the International Gemological Institute has been one of the cornerstones of the diamond industry for decades and is one of few diamond grading companies held by jewelers and diamond dealers to high standards. Translated into English as "High Council of Diamonds", the HRD certificate is considered very reliable and many jewelers and diamond dealers choose to buy diamonds with these certificates. 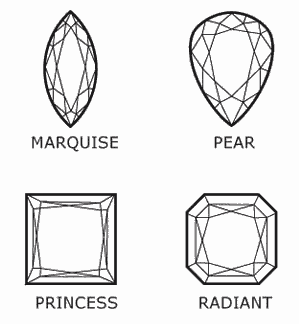 The HRD is one of few truly reliable diamond grading companies. It is known in english as the "AWDC" and was founded in 1973. It is head-quartered in Antwerp.